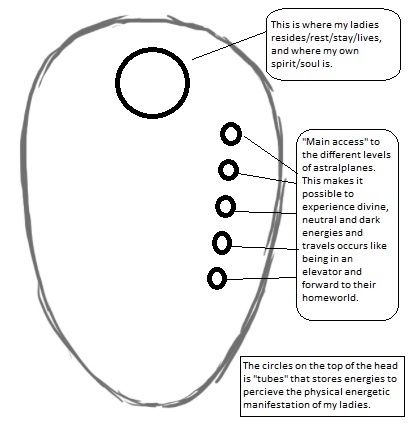 Disclaimer: This is my own interpretation of energies through my own experiences and progression over the years, and should be seen as just that. Energies is, as I see it, an individual representation of someone alive, deceased or of events from the past. What can energies represent? Emotions of different flavours like happiness, sadness, joy, anger. Sometimes it can be contagious and affect the surroundings in both positive and negative ways. Emotional energies is a strong force and one of many ways to communicate with spirits and entities. Interaction with physical energies is like putting a “blanket” of your own energy whenever you touch a solid object. This “blanket” of energy makes it possible for spirits or entities to physically communicate with you, and interact with the physical object you touch. Sometimes these kind of energy needs a recharge, especially when the bed or clothes are changed. Sometimes when the energy isn’t recharged, there can be a slight chance that the spirit/entity is getting stuck in the physical object. I’ve experienced that, and I can only imagine the feelings one of my ladies had when that occured. The concept of ethereal copies makes offering gifts to spirits/entities a possibility. The offerings of food and beverages, and jewelries fits an actual purpose of usage thanks to the ability to energetically copying it. In reverse, their own gifts to us is just as possible to feel physically. I have felt jewelries and different clothes they have given me. The mechanics of the physical energies is, as I experience it, quite complicated to explain to those who hasn’t experienced it yet. But take note of my disclaimer above: My experiences, my interpretation. This was originally posted in a forum, by myself, but thought it would fit in my own blog too.